Posted on September 7, 2017 by ngfmarketing. The lack of window films is quite evident: if you look closely at a car that operates without film on the glass, you will notice the seats and furnishings appear faded. Glass windows on your car also allow the penetration of UVA and UVB rays, which can harm the skin. Applying 3M Crystalline Automotive Films help reduce the penetration UVB and UVA rays by up to 99.9 percent. 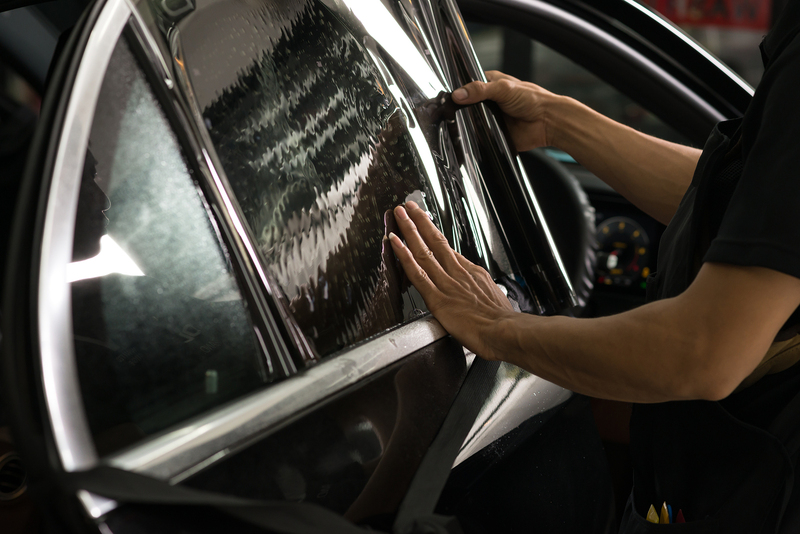 Installing 3M Crystalline Films can significantly reduce the need for air conditioning and heating in your car. The film reduces 97 percent of the sun’s IR rays and up to 60 percent of the heat coming into your car in hot weather: in cold weather. It reflects heat back into the car, creating a comfortable environment in the car. Before the introduction of 3M Crystalline Films, there were many complaints from long-time drivers suffering from skin pigmentation and other skin conditions related to exposure to the sun. However, research and innovation into protective films led to the creation of 3M Crystalline Films, which protects the skin from UV rays and other elements that can cause skin cancer, pigmentation, and other related conditions. Broken glass easily causes injury on your skin during accidents. 3M Crystalline Automotive Films hold shattered glass together during accidents protecting you and your loved ones from minor and major injuries that occur in such situations. The films also make clean up after an accident faster and safer, whether you choose to do the repairs at home or work with an automotive repair shop. While the sunshine on a snowy day is always a welcome sight, creating picturesque landscapes, it poses a risk to your skin and eyes. Snow reflects the rays, increasing UV radiation by up to 5 percent, which exposes you more to sunburn and skin cancer. The glare from the snow also affects the eyes, gradually developing into blurred vision or snow blindness. In summer, sun glare affects your vision while driving, affecting your ability to see and process information received through the eyes. Installing 3M Crystalline Automotive Films on your car can reduce the effects of glare, and help you stay safe on the road. The film is quite useful especially if strong light affects your vision. Always wear protective glasses when driving, for added protection and safety. 3M Crystalline Automotive Films are a Skin cancer Foundation recommended product with an SPF protection of over 1000. However, taking extra protection while driving such as wearing sunscreen, a sleeve on the exposed arm, a wide brimmed hat or sunglasses is good. You can never have enough protection, especially when driving in the sun. 3M Crystalline Automotive Films play an important role in protecting your car and your skin from different weather elements. If you enjoy privacy, you can ask for 3M Tinted Films, which help you keep your privacy while driving or when your car is parked. If you are looking to protect your car’s interior and keep your skin healthy, contact the Z-One Auto Appearance Store for a quotation for 3M Crystalline Automotive Film services. Window Tinting Window Tint permalink.